We have an amazing staff with years of experience in caring for people just like you. Dr. Megan Shiga graduated from the Ohio State University College of Dentistry. She has a great deal of experience with composite restorations, crowns, bridges, dentures, veneers, and treating children. She is also Invisalign trained. She was born and raised in the Cleveland area. She resides in Shaker Heights with her husband John and three daughters. In her spare time, she enjoys playing tennis. 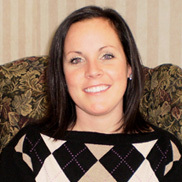 Heather has been with Dentistry of Chagrin since 2002. 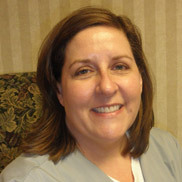 She is the billing and insurance manager and is also certified in dental radiology. When not at work, Heather enjoys spending time with her husband and their three boys hiking, train watching, and going to all of their various activities. 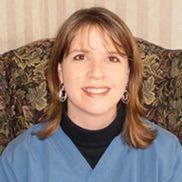 Kelly received her Dental Hygiene degree from Ferris State University. After living in Texas, Virginia, and Michigan, she has lived in South Russell with her husband and three children for the past 13 years. 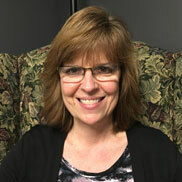 Kelly enjoys reading, walking her dog Daisy, and attending her son's hockey games. Melissa attended CWRU. She has been in dentistry for 27 years. Melissa enjoys anything outdoors and playing with her grandson. 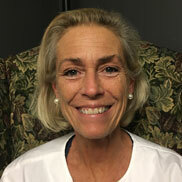 Lori has been working in the dental field for over ten years. She grew up in Twinsburg where she still lives with her husband. They have two daughters whom they love spending time with whether dining/cooking out or attending sporting events together. Lori can schedule your appointments and answer any questions you may have regarding the office, procedures and/or finances.